The annual gathering is a fantastic opportunity for like-minded individuals to focus on the achievement of excellence in their personal professional development, as well as identifying strategies for the teams and greater organizations they serve. The 2018 Conference on Enterprise Excellence is a one-day event featuring recognized leaders, from a variety of industries, who have led their teams and organizations to high performance in the areas of leadership, strategy, customer engagement, operations, workforce, and technology. The Conference on Enterprise Excellence will be held on February 22, 2018 at the Hamburger University Center located in Oak Brook, IL. The conference agenda represents speakers from manufacturing, healthcare, education, small business, government, and private industry, discussing the challenges and hot topics relevant to today’s workforce. Individuals at the beginning of their career and those in management will benefit from the diverse perspectives offered throughout the event. The keynote session is titled “The Customer Mission – Why the key to growth isn’t about you” and will be facilitated by Andrea Olson, CEO of Prag’madik, a Customer-Facing Operational Strategy Consultancy. Andrea works with business leaders from different industries on how to differentiate their organization by generating more revenue, reducing costs, and eliminating the effort to throw good money at bad ideas. Andrea is a 4-time ADDY award-winner and has led the strategic marketing efforts at two global industrial manufacturers. Following the conference, attendees are encouraged to join the celebration of excellence and the newest members of the class of distinction at the 2017 ILPEx Awards for Excellence Ceremony and Recognition Dinner. The evening event will honor the 2017 Award Recipients, as well as the tremendous team of volunteer Examiners and the Panel of Judges. This year, IMEC is pleased to honor two Gold Award recipients – Illinois Municipal Retirement Fund (IMRF) and Integrated Project Management Company, Inc., along with the Silver Award recipient – HSHS St. Francis Hospital, and Bronze Award recipient – Saint Anthony Hospital. Registration for the Conference and Awards ceremony is available at http://www.imec.org/events. Visitors will also find the complete conference agenda and guest speakers for both events. For questions, please contact Emily Lee, IMEC Program Coordinator, at 309-677-4633 or elee(at)imec(dot)org. 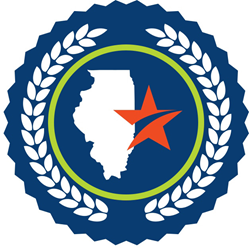 IMEC leverages the Baldrige Excellence Framework as a foundation for driving organizational improvement and innovation across the state of Illinois. By providing a range of hands-on, goal-oriented solutions in the areas of leadership; strategy; customer engagement; measurement, analysis, and knowledge management; operations; and workforce, IMEC leads organizations in their mission to improve business results and to create sustainable competitive futures. Through the ILPEx Recognition Program, IMEC celebrates the organizations committed to achieving enterprise excellence and sets them apart as a true class of distinction.